The employees are the backbone of every company. And when your employees have been working hard all year to bring in tremendous results, nothing conveys your appreciation more than a corporate gift. And when you need a gift that means a little more, these eight high-end keepsakes are the perfect statement for your branding needs. This elegant crystal vase is the perfect accolade for any achievement. This crystal was made in Italy and comes with a black finish base. With its perfect design, this vase makes for a great award for the over-achiever at your company. Brand this tote for a chic statement piece that will be appreciated for years to come. All of these canvas bags are cut to order, so you have a choice of size, material, construction, and printing options. 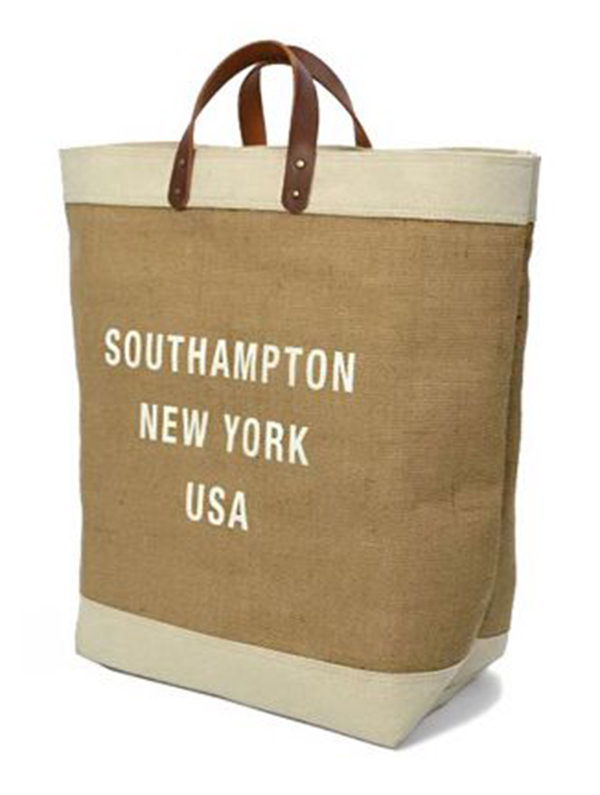 These bags are perfect for heading to the beach or hanging out poolside. 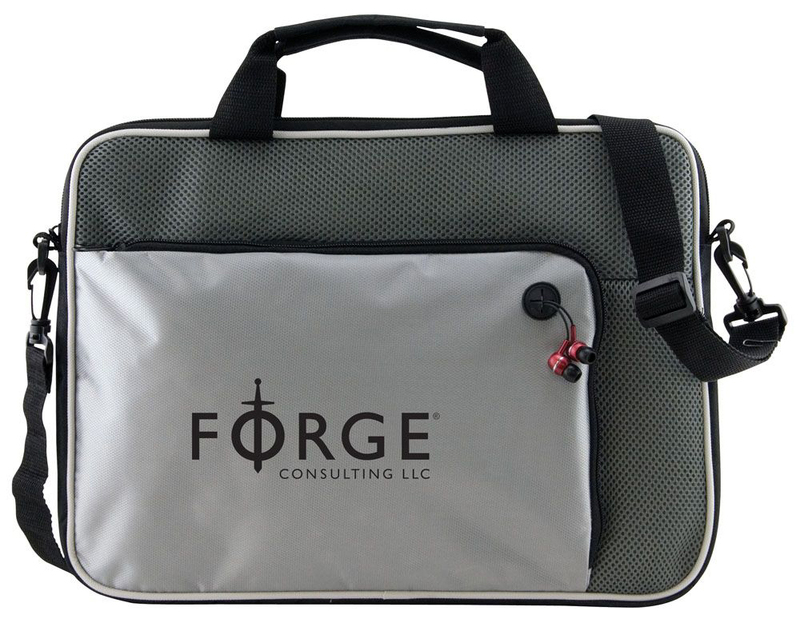 Add your logo to a high-quality laptop case for an excellent practical gift for anyone. Prominent and professional, this laptop case is sure to be a promotional hit! This notebook briefcase features an adjustable and detachable shoulder strap and front zipper pocket with an organizer and earphone port. Now, your employees can work on the mixology skills while traveling on vacation. 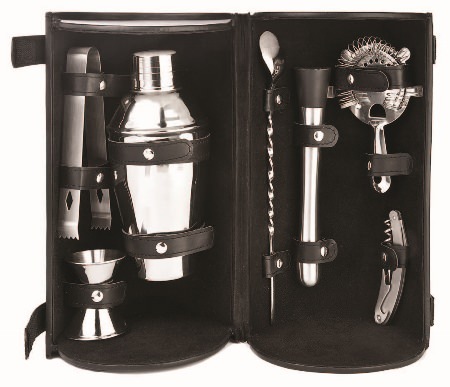 The items in this bar kit include a cocktail shaker, 18 oz deluxe ice tongs, a double jigger, a bar spoon, a muddler, a cocktail strainer, and a corkscrew. Packed together in a cylindrical, compact case, this bar travel provides plenty of space to imprint your logo. Whether it’s a backyard barbecue or a kid’s soccer game, this adventure wagon will definitely turn heads. The wagon features a sturdy folding table top and a fitted, fully-removable, waterproof liner with a drainage spout. 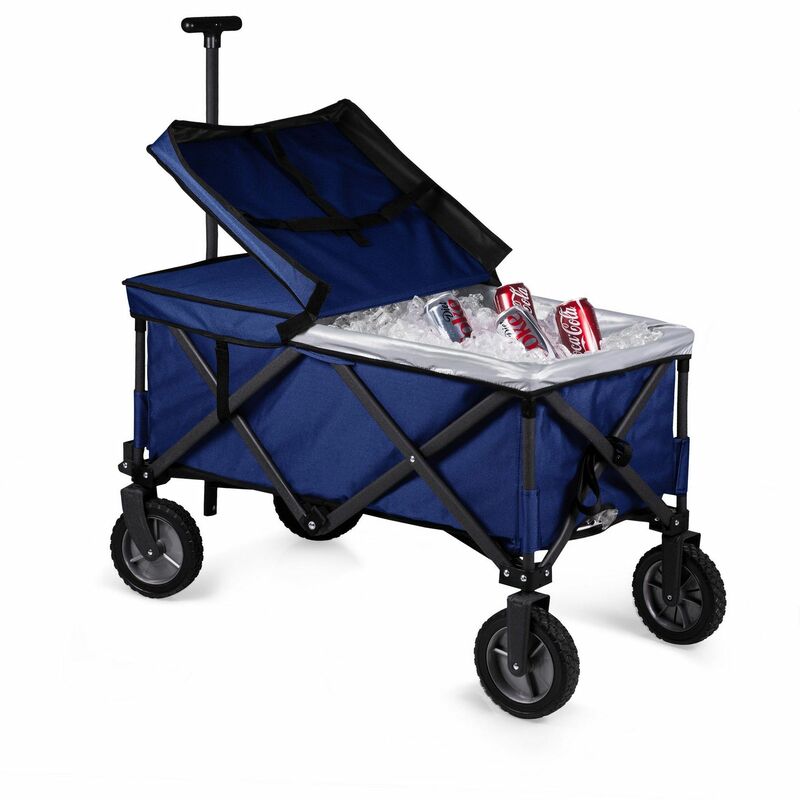 This wagon is perfect for storing food and beverages for any outdoor event! This Italian leather padfolio has a stylish design that includes a place for your pen, a notepad, and a folder pocket to keep all your materials organized. 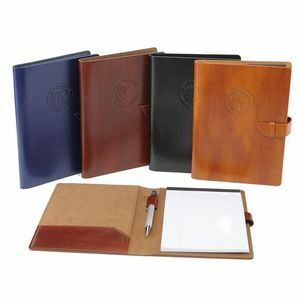 With plenty of space for your branding, this padfolio comes in a variety of colors and makes for an elegant, useful gift to your employees. 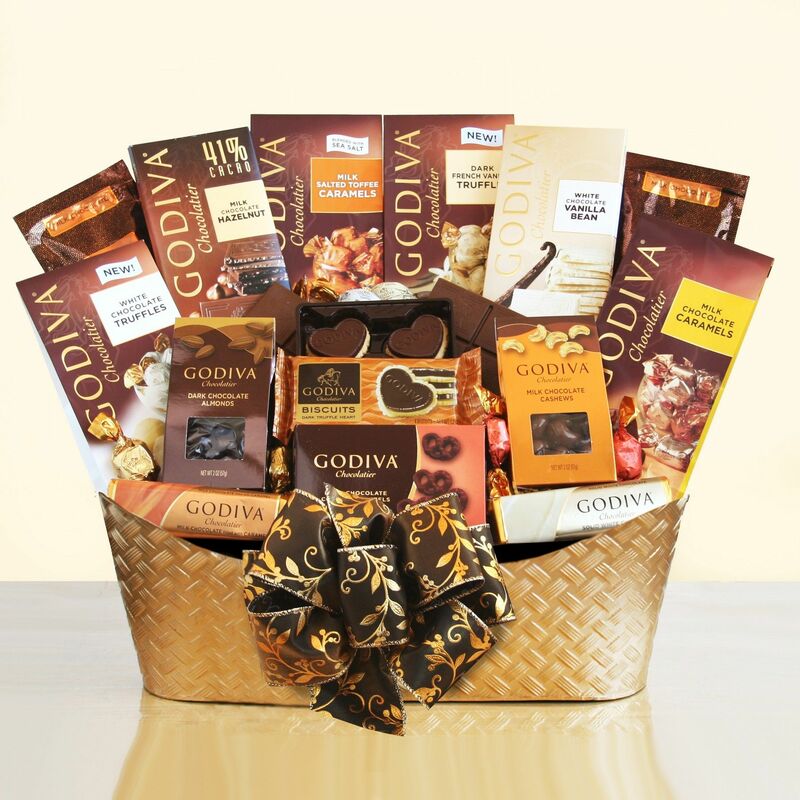 Nothing says “thank you” quite like this majestic Godiva gift basket. An ornate metal container holds a huge array of chocolate. This basket includes dark chocolate almonds, dark chocolate truffles, chocolate cashews, chocolate biscuits, solid milk and white chocolate bars, chocolate pretzels, hot cocoa, a milk chocolate hazelnut bar, salted toffee caramels, assorted truffles, a salted caramel bar, and milk caramels. Appreciation never tasted so sweet! 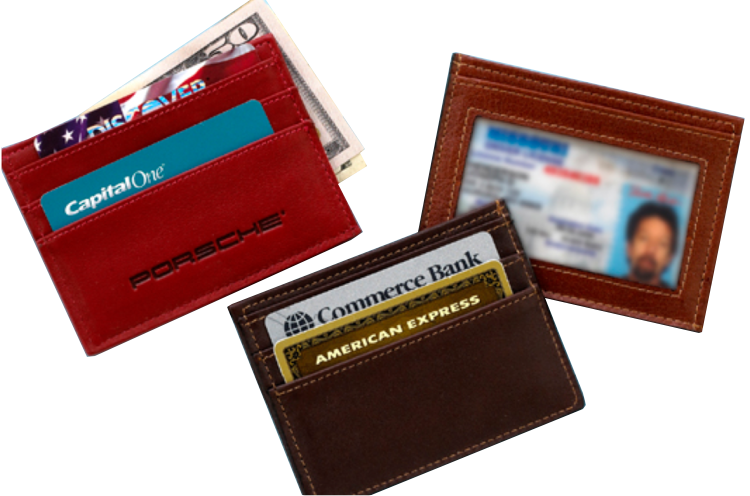 These wallets are made from hand-worked European leathers. This super slim wallet has two card pockets, a leather-lined center pocket for bills, and a window outside to permanently display your I.D. Its lack of metal also makes it ideal for airport security. Want more inspiration for corporate gifts? Contact us today and we’d be happy to discuss more options!